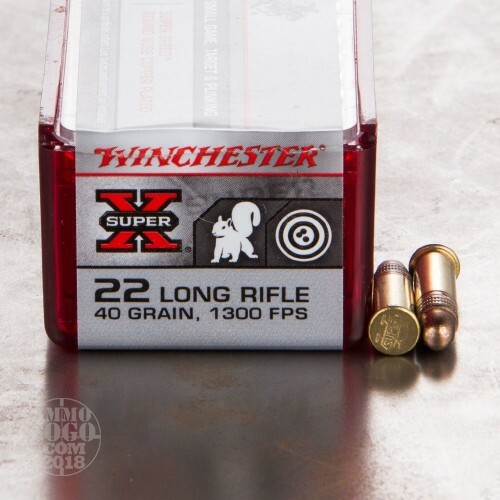 This is .22 LR Winchester 40gr. 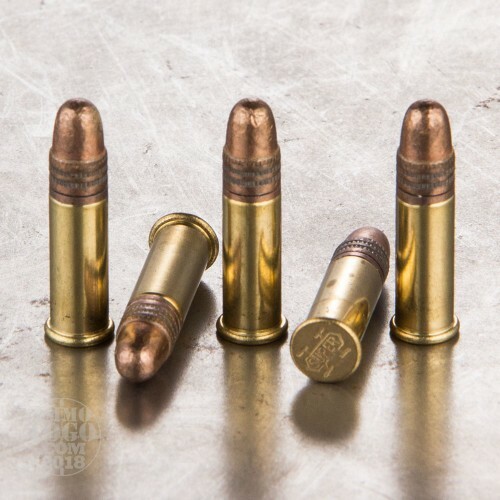 Super-X SuperSpeed Copper Plated Round Nose Ammo. The velocity is 1300fps. and the energy is 150 ft lbs.at the muzzle. 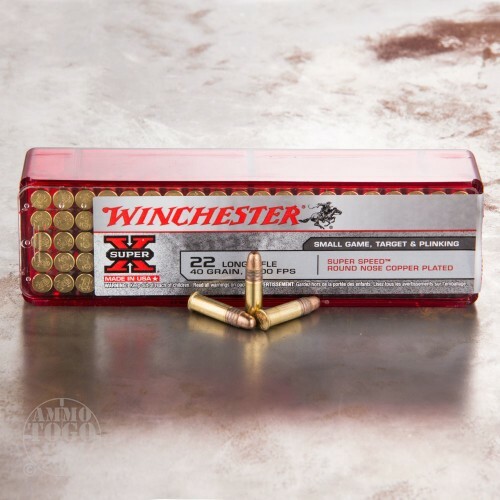 Super-X Super Fast High Velocity loads hit hard for small game or target shooting. This ammo comes packed in 100rd. boxes. I bought 500 rounds. Ammo was very accurate. One round jammed my Browning helix magazine. The bullet was bent in the case and was loose. I had a difficult time removing it from the magazine.I then inspected each round and found 38 rounds out of 500 that were either loose or bent on an extreme angle.That is a little better than 6% that i can't use in my magazine.The 60 rounds I fired were very accurate. Thought I had a winner but 6% is a big deal at today's ammo prices.I will continue to buy from Ammo To Go. Ammo to go is a great place to buy ammo!! fast shipping and excellent service!! Great ammo works great no problems! Courteous and Professional Service at Ammo to Go. This ammo work perfectly with no malfunctions,No failures and super hot.A little pricey.But worth the extra money.Ammo to go should reduce shipping costs a little. This ammunition has always worked reliably and with nice performance; in my SA Mil-Spec 1911 topped with a standard Advantage Arms .22LR conversion kit and my Ruger 10/22! My Ruger Single Six likes it. No duds. Won't comment on accuracy since I can't hit the side of barn anyway. Saving most of it for my Grandson. Ammo to Go always ships quickly. Not my first purchase from Ammo to go and it certainly wont be my last. Very good product ,good price and fast delivery . I really didn't test this stuff out as I'm sure many folks do. The most of my shooting consists of having fun and challenging myself. Most of the time I only guess at distances with a mostly empty old aerosol paint can:-)There's a large gully not to far from here that looks as though Paisley, Peter Max, and R. Crumb was led through it by Timothy Leary. The ammo worked fine, hasn't jammed, no duds... That's what it's supposed to do! Bought some of this and took it to the range where I shot it through my Ruger 10/22. I compared it to some Federal AutoMatch that I used previously for sighting in my rifle at 50 yards. Had no failures of any sort and it was noticeable hotter and showed less drop at 100 yards than the Federal ammo. Accuracy was good but had more scattered shots than the Federal. I would only consider this ammo if the price were attractive compared to other brands.